What types of path and bollard lights do you have? Can I string several lights together in a chain? Are these lights ok to use by the sea-side? It’s easy to see why this lights.ie is the only place to go. 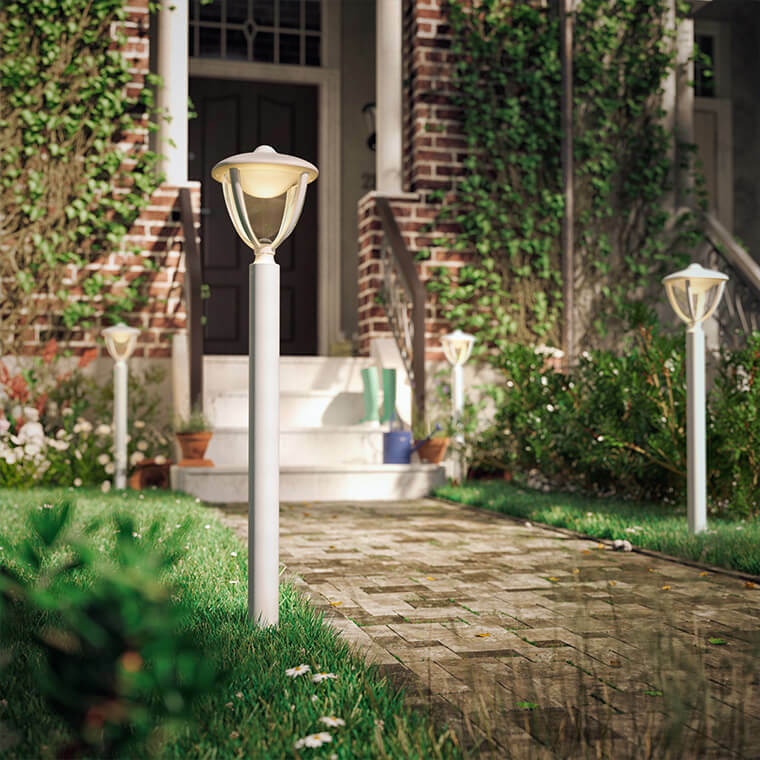 You’ve found your way to lights.ie and our huge range of path and bollard lights. 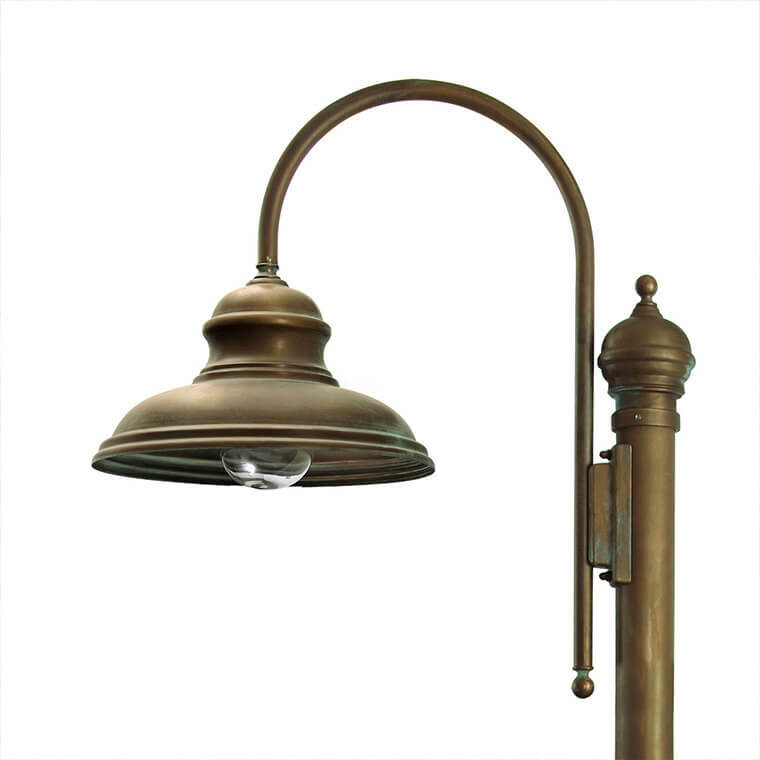 From discrete sunken uplighters to ornate Victorian style lampposts to ultra-modern motion activated post lights, you’ll find a whole world of inspiration right here. 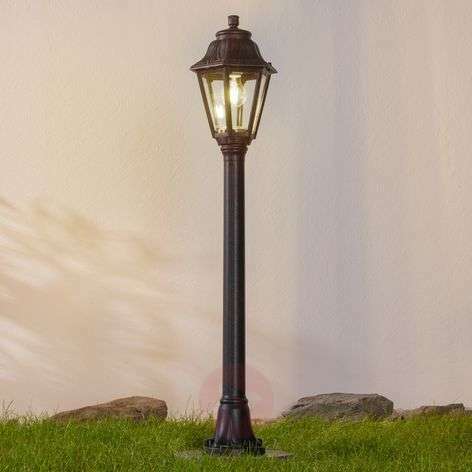 If you have a pathway, driveway or any area that people might need help finding their way along in the dark then you need path or bollard lighting. Safety is obviously important but think about security too – vandals, thieves and burglars are more likely to stay away from well-lit properties. You should also consider how pathway and bollards can enhance the appearance of your home. Think about the subtle illumination at night time and how well your home or business will look with pools of light. 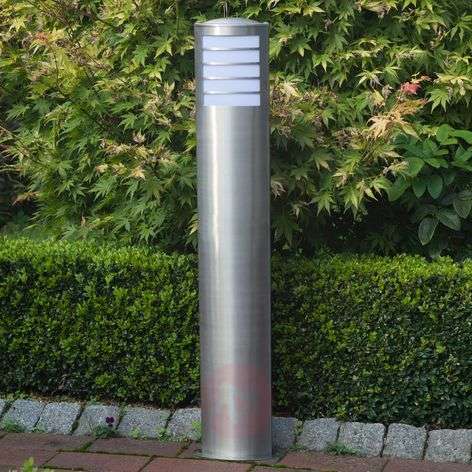 Path lights and bollard lights can be extremely efficient too, especially if using LED technology which use a fraction of the power of other lights. Add a motion detector too so that the lights will only come on when needed and only when it’s dark, thanks to a dusk sensor which lets the lights do all the work – you don’t need to switch anything on or off, ever. Ready? Let’s go shopping for the perfect path and bollard lights! Motion activated lights are a good idea and we have lots of them to choose from. These lights will give you peace of mind when it comes to safety and security and there’re also very convenient. Yes, most lights can be stringed together, depending on the operating voltage. To make sure that the lights you choose can do this, just contact a member of our customer service team here. If you’re wondering what distance apart they should be, we usually recommend between three and five metres. If you want the area to be particularly bright you can shorten this distance. If you live near the sea you know that the salty air can cause corrosion in aluminium and rust in steel. For that reason we recommend that you choose "corrosion-resistant" in the search filter above to find lights that are made from Poly (methyl methacrylate) (PMMA), heavy-duty plastic or brass. They certainly are. Each one of our outdoor lights has an ingress protection (IP) code which tells you just how much protection it has against the elements. The IP code is a two-digit number - the first one represents protection from solid objects on a scale of 0 – 6 and the second represents protection from liquids on a scale of 0 – 8: if this number is 4 or greater you can instal the light outside. LED or standard, incandescent light bulbs? We recommend LED technology path lights wherever possible. LEDs are by far the most energy efficient light sources, they last for ages and light up immediately, unlike energy-saving spirals which take a couple of seconds to warm up. Most of our LED path and bollard lights have built-in bulbs. If you’re unsure if a light has a built-in bulb or not, check the specifications on the product page for that light. If the technical specifications do not specify a base type then it will be built-in. Our LEDs have a long lifespan of between 20,000 and 25,000 hours.